The 6.2 mile race, better known as the 10K, is widely appreciated by runners as the 40 minute push for your best result. 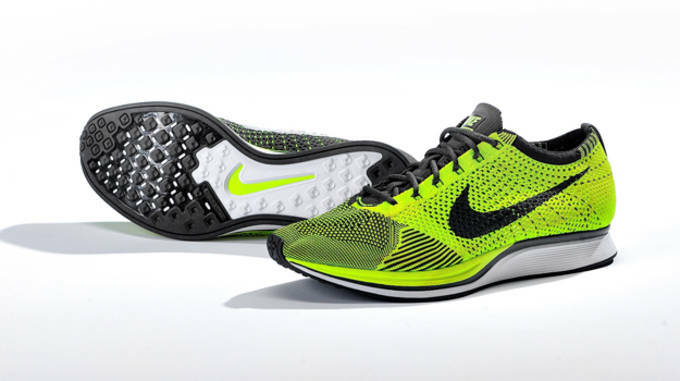 Maximizing your full potential on this race requires a very specific sneaker, known as the racer. 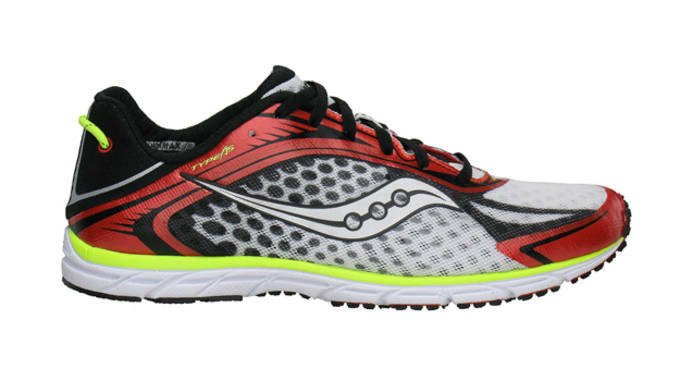 Most racing kicks are priced a little bit less than your everyday runner, at a predictable $90. Lighter than most, the racer is built to go fast, a go-between, if you will, between that track spike and your favorite pair for running errands. 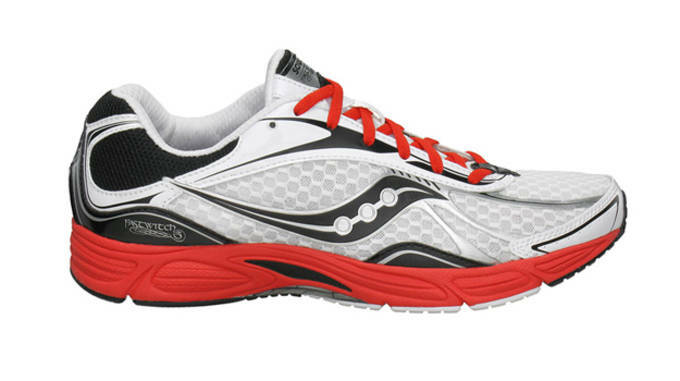 So sign up for your next 10k and take a spin to find the best possible shoe for fast results. RELATED: What Type of Celebrity Runner Are You? The anchor of this speedy list should best be enjoyed as a trainer leading up to the following shoes. At 7.2 ounces, this ambitious shoe that can take a pounding, and looks great in the Orange or Blue colorways as well. Initially, depending on your running mechanics, there might be some slippage when you make turns but it gets ironed out after the first 20 miles or so. 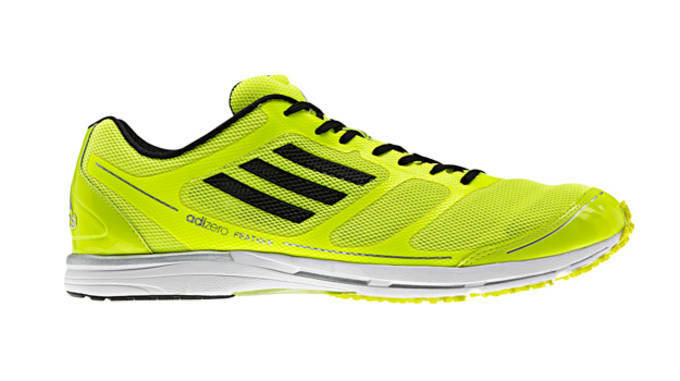 If you want a heavy racer that can double up as a Half-Marathon shoe, this is your pair. Rock With Jeans? Sure, go for it. The monochromatic look helps. Bonus Points: Not to cushiony, but super comfortable. Find: At Brooks Running for $90. 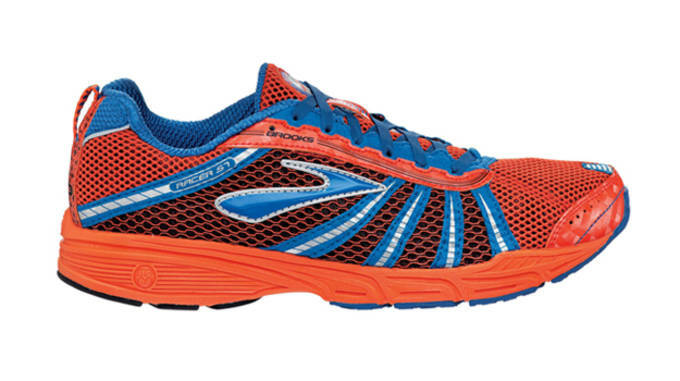 At 8.6 ounces, the ST Racer 5 comes in weighing in as the heaviest shoes on our list. 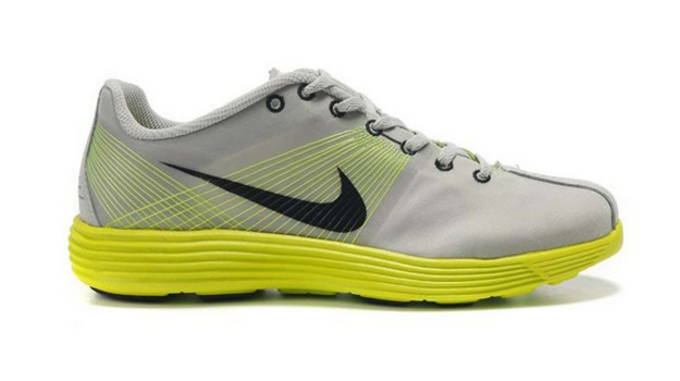 However, there is a high probability that this shoe could be the most popular considering that it&apos;s is deceptively light, has a stability strip to keep your feet protected and is great for people that aren&apos;t lanky like most speedsters, has a great "everyday" look to it, and will likely take up to 200 high octane miles, and a couple hundred more at jogging speed. Bang for your buck, anyone? Rock With Jeans? No, we repeat, no. Bonus Points: Bang for your buck as a racer that can double as an everyday runner. Find: At Brooks Running for $85. New Balance released it&apos;s innovative "Minimus" line in cooperation with Vibram to present speedsters an alternative to conventional racing flats. At 6.4 ounces it&apos;s not quite the lightest shoe on our list, but it will feel ridiculously feather-like particularly in the upper and you will feel tempted to run-sprint-dash, in that order, at how genuinely light this shoe is. Warning: Do not run-sprint-dash in these shoes unless you have taken them out for a few light runs to properly activate your feet, shins and calves. Forefoot running can be dangerous as it strengthens (and if overdone, destroys) said muscles. Rock With Jeans? This one is a maybe. We urge to chose cautiously, for instance, do not wear to the bar. Bonus Points: Light as air. A staple for speed demons all over, the Lunar Racer+ can boast the 3rd fastest Marathon time in history and is a go-to for all that are gung-ho over Nike. The Flywire top provides a sleek look and comfortable feel and clocks in at an almost invisible 5.5 ounces, lightest shoe on this list. Don&apos;t worry, the cushioning (a little awkward getting used to initially) is there to get you through a 10K and the marathon (if your form is stable) in quick fashion. Speaking of the look, this is a better looking racer than most. Bonus Points: The clean look isn&apos;t just for running snobs. Find: At Nike for $90. 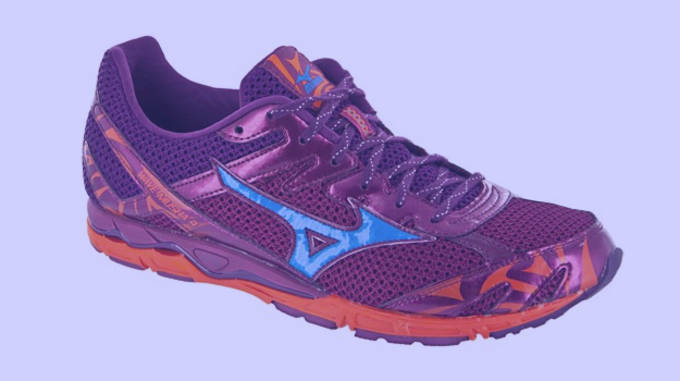 Mizuno&apos;s 2nd lightest shoe at 8.7 ounces comes in two BOLD colors, lime and bright purple. If you are wearing them, people will have it next to impossible to avoid eye contact with the Musha 4. Performance? It&apos;s a very responsive shoe, the AP+ structuring around the sole will cradle your feet comfortably and can take a beating. The level of comfort after that beating is what sets this a truly valuable racer. Wear With Jeans? The sleek look can pass under some denim. Bonus Points: Responsive and comfortable is a win/win. The Fastwitch is the perfect example of how far along running manufacturers have taken their products to perfection. 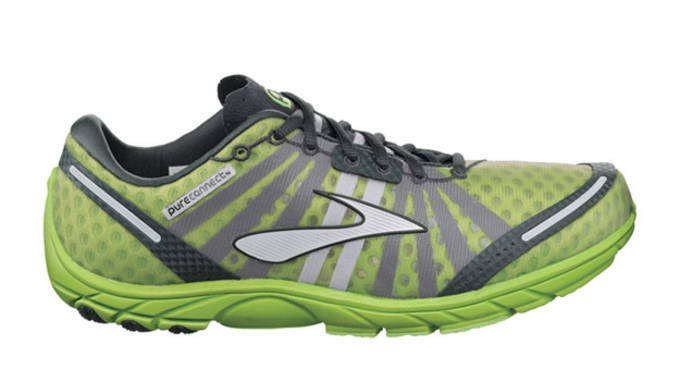 Not quite the lightest shoe at 7.8 ounces, but it is deceptively light and it&apos;s a stability shoe. Like PB&J, the components of this shoe combine to create a footwear experience that reminds you of running with your most comfortable stability shoe minus just about ALL the weight, you will be flying with this stability performer. Bonus Points: Simply perfect at 7.8 oz. The high secret Nike project that was gaining hype for later 2011 and leading up to the Olympics this year was the Flyknit project. Like other highly hyped Nike products, the Flyknit comes through in delivering on what it promises, a thread-knitted, single layer upper to ensure the lightest running experience known to athlete-kind. The weight that isn&apos;t on the upper that we usually are accustomed to translates to quicker feet and Nike pulls off the transition quite well. At a sleek 5.6 ounces, and with the material a little more delicate than what racers are normally accustomed to, you might want to save these kicks for every other 10K, rather than making it your premier racer. Bonus Points: See above, rock these all day. A lot of foreigners trust the adidas brand for it&apos;s longtime commitment to athletic pursuits. On the domestic scene it seems like adidas is trusted more in casual shoe wear, the Hagio is a pair that should be greatly trusted on the roads no matter where you are. 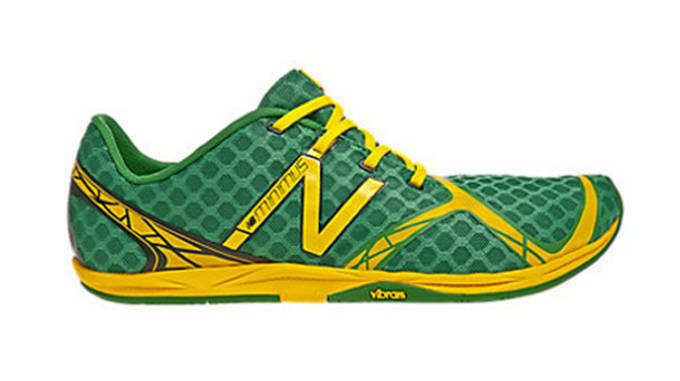 At 6.1 ounces and in Lime Green and Orange color options, the Hagio is a well crafted shoe that has superior traction and encourages you to run as hard as you can. Walking around in this shoe is not advised, as the forefoot under is created specifically for running on roads (slippery ones, particularly) and track. Like the 3 stripes? The ones on your Hagio will be reflective! Bonus Points: Great traction for slippery days. Find: Running Warehouse for $90. 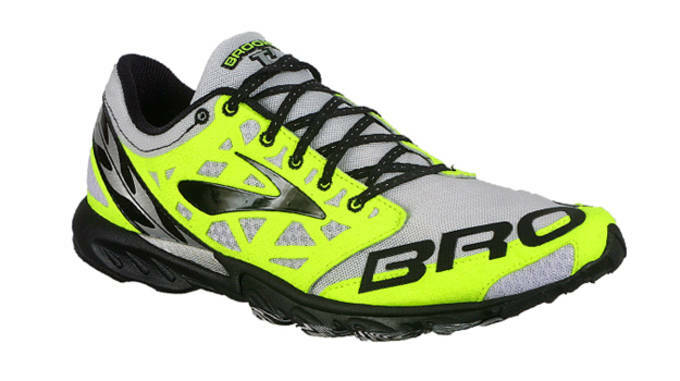 This shoe is highly respected amongst racers and at a razor-thin 6 ounces, you will blast mile after mile after mile. This sneaker instills confidence. The level of comfort is high and you&apos;ll enjoy breaking them in to, because they are already next to ready to perform straight out of the box. Many shoes on this list were described as "deceptively fast", this shoe is deceptively durable, before any real pain set in my feet, our tester had already racked up 275 miles on this 6 ounce racer. Two wonderful colors for this little speed enthusiast, Lime green (maddeningly popular color for racers) and Grey/Red. This is the racer of choice of U.S Olympic Marathoner Desiree Davila, she of the 2:22:38 Marathon. Rock With Jeans? Better not. Find: Brooks Running for $90. There is no other way to describe the Type A5 than calling it what it is- a sweet, road ravaging pair of shoes. This racer will supply you with your PR in 5ks, 10ks, and Half Marathon. There are 3 colors, blue, green, and a "Special Edition" version donning Critton "Lime Green", Red and White with the words "GET SOME!" under the heel. The FlexFilm structuring is the primary reason why your feet will feel very comfortable while you are blazing the fastest miles of your life. Bonus Points: If you put in the work, these will supply the fastest miles of your life. Find: Saucony for what else? $90.